At the historic 1980 Wimbledon Championships, rising American star McEnroe sets his sights on dethroning reigning champion Björn Borg (Sverrir Gudnason), sparking an unprecedented media frenzy in the tennis world. At the center of the hype, two legendary tennis icons’ with polar opposite personas and approaches to the game. McEnroe is infamous for his brash, ferocious energy on the court and his equally spectacular, expletive-fueled tantrums, whereas Borg’s coolly composed, elegant style of play complements his unflappable public demeanor. However, both men are hiding deep anxieties, locked in battle with their inner demons. On the court, each athlete brings his immense talents –– and handicaps –– to bear in one of the most suspenseful events in sports history. 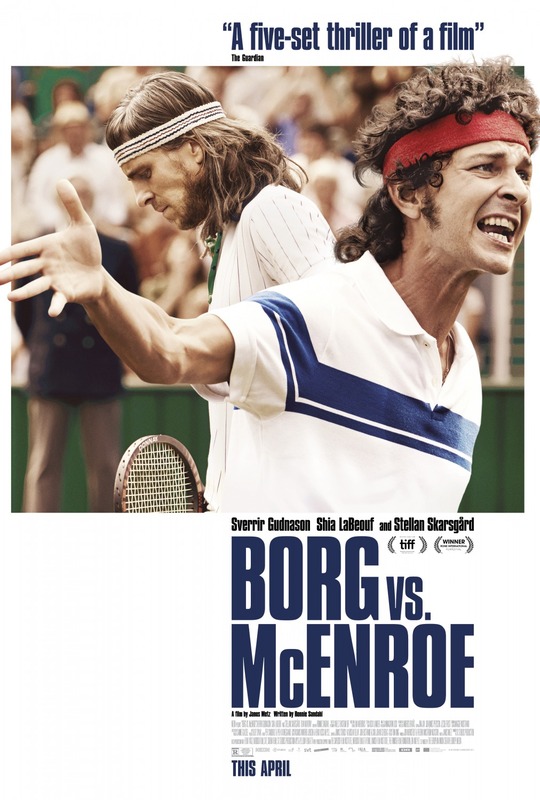 Pictures of the real Borg and McEnroe are shown.